This reunion double date was absolutely everything. 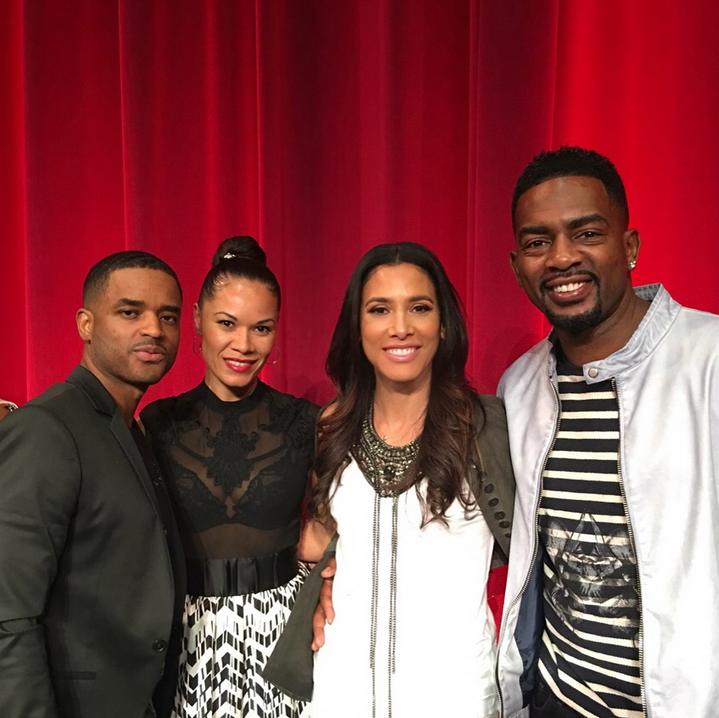 This week the cast and crew of the cult classic romantic film, Love Jones (1997) reunited to celebrate its release 20 years ago. The anniversary party turned into a double date night for some of the film’s stars who brought along their spouses and family for the epic celebration. Among the couples who attended the all-star affair included Larenz Tate and his wife Tomasina Parrott and Bill and Kristen Bellamy. Altough their friendship didn’t end well onscreen, in real life Tate and Bellamy have always been close. Bellamy’s wife shared pictures on her Instagram account of them posing with the cast and crew along with a group picture with the Tates.And, let’s just say, the moment was epic. The couples have been friends since filming the movie. “Tonight our kids got to see their dad, godfather and Auntie Nia in the classic #Lovejones It’s where they all met and they’ve been family ever since. It was so nostalgic to see this love story after 20 years. Thank you to Cheryl Boone Isaacs and @TheAcademy for honoring such a trail blazing film,” she shared.